Vacuuming by the CRI Carpet & Rug Institute. Removing loose soil while it remains on the carpet surface prevents dirt from being ground into the carpet pile and can help preserve the cushiness of your carpet. Keep in mind green cleaning starts with vacuuming. As a rule of thumb, you should vacuum at least once a week with a CRI Seal of Approval/Green Label vacuum cleaner. However, the more foot traffic over your carpet, the more you need to vacuum. 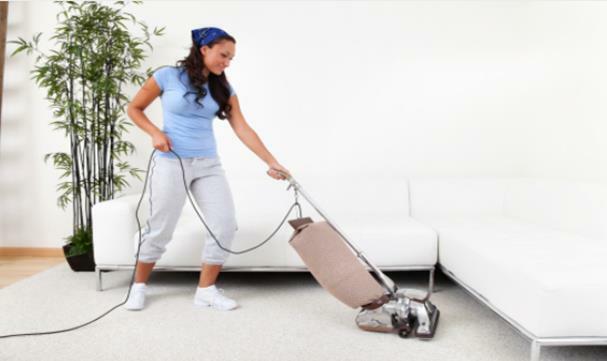 If you follow these vacuuming frequency guidelines and with a professional carpet cleaning once a year, you can prolong the useful life of your carpet.